Here you will learn how to create a new Workbook using Excel 2007 and 2010, whether you want a clean blank Workbook or using a template available that is suitable in your project. But first let us know what is a Workbook, workbook is a single file containing different types of related information as separate worksheets, it’s like a book with several pages. 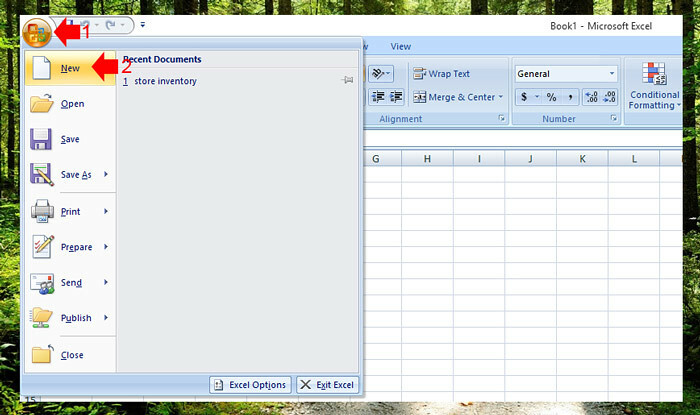 While excel is open, click the Office button at top-left corner of your screen, then on the drop-down menu select “New”. 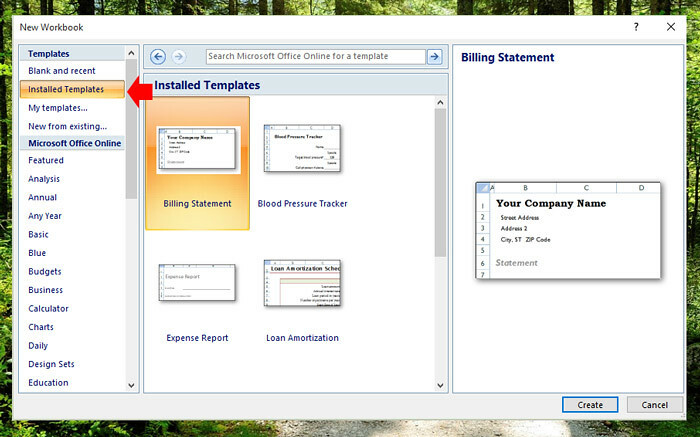 The new Workbook window will open, If you want to create a blank workbook, under Templates, select “Blank and recent” then click the “Create” button to open your blank workbook. 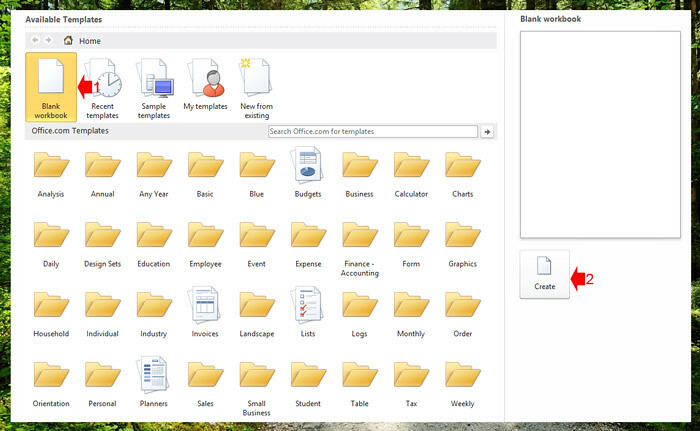 If you want to use the templates available in your Excel, select the “Installed Templates” or the template categories under Microsoft Office online, but need an internet connection for all the templates to load under office online. 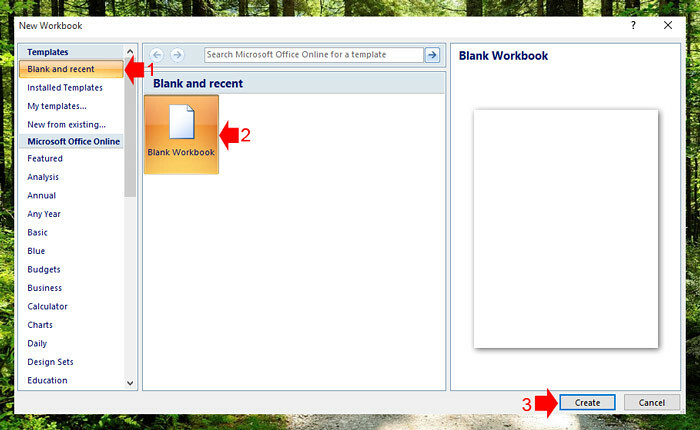 By default “Blank Workbook” is selected, click Create button to Open the blank workbook. 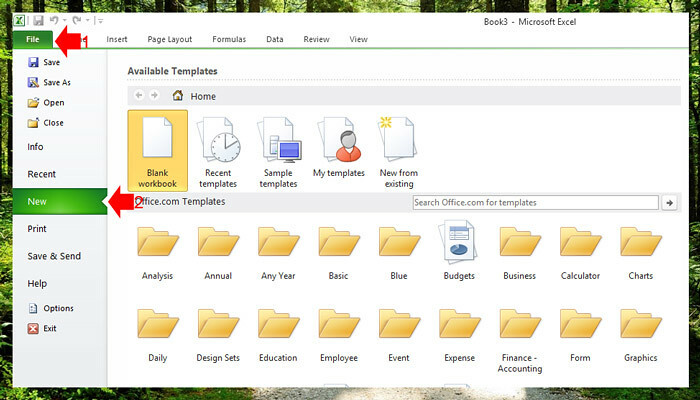 To use the templates available in Excel 2010, you can either click the “Sample Templates” or select in the Office.com templates if you’re online, find a template that will fit your project. 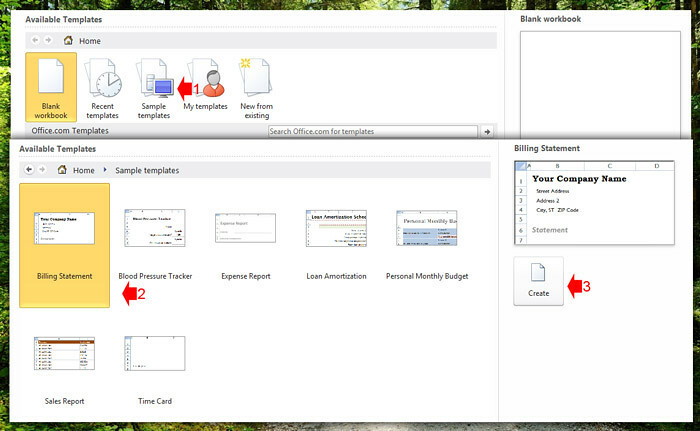 Now that you already know how to create a Workbook, the next topic that you need to learn is how to save a workbook.